When it comes to car loans, most people assume their best option is with a traditional lender such as a bank or credit union. While some lending institutions offer excellent financing, there are numerous reasons to consider a trusted dealership near Kenner, LA first. As you compare the pros and cons of both options, you will begin to see that working with the dealership makes perfect sense. For starters, one dealer not far from Kenner, LA, has a long history of always making the customer a priority. Not only does that mean having a professional, dedicated team of salespeople, but it also sells new, used, and certified pre-owned automobiles at affordable prices. This dealer offers special services in the form of on-site service and in-house financing as well. For a positive experience from start to finish, doing business at the right dealership makes all the difference. This dealer has an experienced staff of financial experts who are qualified to search for car loans with the best terms and lowest interest. Working with several top lenders, the specialist will review various options to find a loan that works for you. In other words, instead of offering cookie-cutter loans, this dealer takes pride in customizing solutions on a customer-by-customer basis. Something else to think about is that the dealer close to Kenner, LA, works with people who have less-than-perfect credit. A conventional lending institution has little wiggle room if a potential borrower’s FICO score is lower than its standards. As a result, these lenders deny many loans. At the dealership, the financial expert has options for this type of situation. There is also the convenience aspect of dealership car loans to consider. Whether shopping for a car, truck, or SUV, you can secure the financing you need to drive home in an automobile on the same day. That way, you can focus on selecting the right vehicle for your driving needs and budget instead of making phone calls or driving to different banks or credit unions in search of a loan. 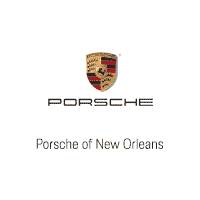 For an excellent selection of automobiles and the financing that you need to purchase something new or previously owned, visit us at Porsche of New Orleans, only a 10-minute drive from Kenner, LA. You should enjoy the car-buying experience. We guarantee to do everything humanly possible to make that happen.